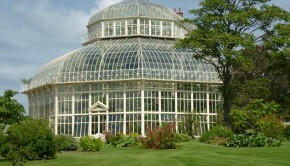 Greenhouses, also known as orangeries, sprang up in England during the Victorian era to allow owners to grow oranges, pineapple and other tropical fruits. You will need to supply heat to the greenhouse. It is useful to search online for the fruit you want to grow to find out the inside temperature the greenhouse needs to be kept at. 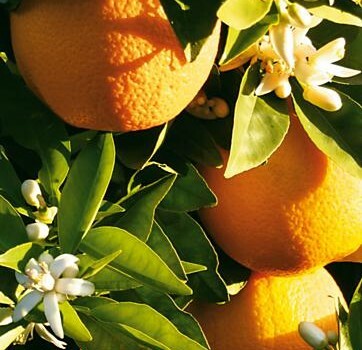 Citrus plants require insect pollination and without them, hand pollination is necessary. This is accomplished by using a paintbrush to pollinate one flower to another. You can also gently shake branches. If you notice holes or discoloration on the leaves, stems or fruit of your plant, it is a sign of pests. Be cognizant of overheating in the greenhouse to avoid fungus infecting the plants. Check regularly for white flies and other pests and get rid of them as quickly as possible.